Bells are ringing, and Austin wedding season is heating up. Austin has also become a destination-wedding site, so how do you go about planning an affair to remember in Austin? We have consulted some of Austin’s top wedding planners to gather their suggestions on vendors for a luxe wedding — when the sky's the limit on the budget. Victoria Hentrich has been planning Austin’s most beautiful weddings and events since the 1980s and is the go-to planner for all things. With an international celebrity client list that includes soirees for everyone from Willie Nelson to Kendra Scott to the Queen of England, Hentrich has an exceptional list of talented and accomplished vendors and an eye for giving each wedding an individual flare with her touch of class. In business for 29 years, this full-service bridal salon has high-end designer gowns, bridesmaids dresses, and accessories. Their curated collection includes exclusive designers from the U.S., Canada, Europe, and even New Zealand. The new location provides an experience just like the movies – one-on-one consulting, large private dressing suites, and a lovely area for friends and relatives to oooh and aw as you try on arm loads of dresses and accessories. It all ends with a celebratory champagne toast when you find “the” dress. When the sky is the limit, why not host your wedding from a hotel rooftop with a spectacular view of the city. 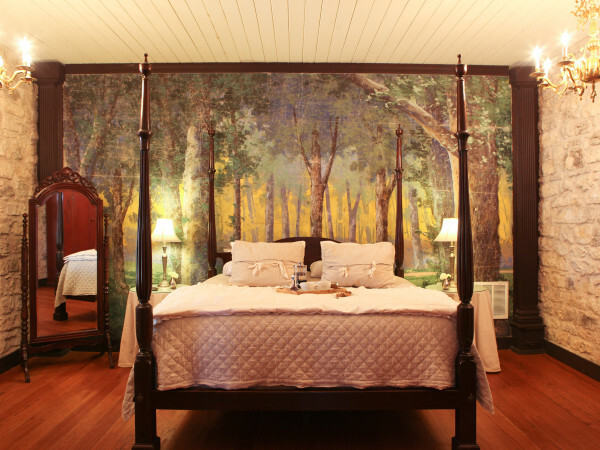 The Hotel Van Zandt has one of the best. 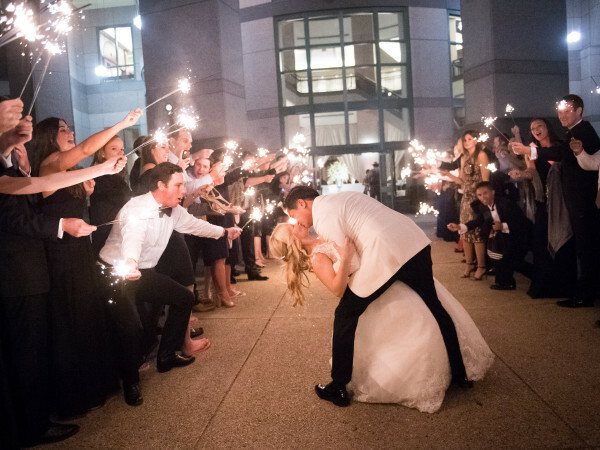 Their in-house wedding planner can also help arrange everything from the wedding feast and reception to blocking rooms for out-of-town guests and in-town revelers. Other venues with spectacular rooftop views include the W hotel, the Omni Hotel, the Westin, and the JW Marriott. 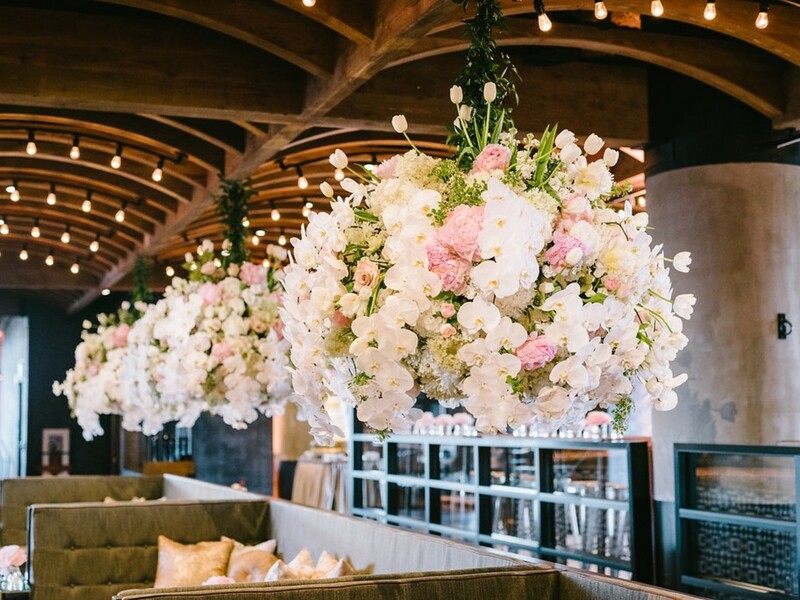 Hands down the go-to high-end florist in Austin, Kurio has added his signature touch to hundreds of memorable Austin events and weddings. Kurio connects with his clients by listening to their vision for their dream day and guiding them as he expertly transforms the venue they have selected into a memorable setting. “My goal is to create an environment that will evoke memories for both family and guests for years to come," says Kurio. In business for over 40 years, many Austinites have grown up with birthday cakes and pastries from this venerable bakery. Their personalized consultation includes samples of seven cake flavors from traditional to modern, design ideas including custom frosting and fresh flowers and fruit, as well as cake styling. Crave is a full-service caterer and will take the stress out of your reception. Beginning with a private tasting and consultation, attention is paid to every detail of the customized menus and arrangements. Crave caters wedding large and small in and around Austin. Hunter’s fine art photographs have a romantic feel perfect for wedding photography. Hunter uses both film and digital images to create an organic look that captures the moments that are unique to each wedding. She has been awarded "Hall of Fame" and "Best of Weddings" designations by The Knot and gets rave reviews from her clients. How do you choose from among hundreds of great musicians residing in the Live Music Capital of the World? Go with a band that is going to have them dancing the night away. Alyse and the True Velvets will customize the song list from three different repertories — jazz, pop/rock, and originals.